Matt Adams - Superheroes, Sci-Fi, and a Touch of the Fantastic: Quiet! Revisions Underway! 100th Comment on this post gets this logo on a t-shirt. 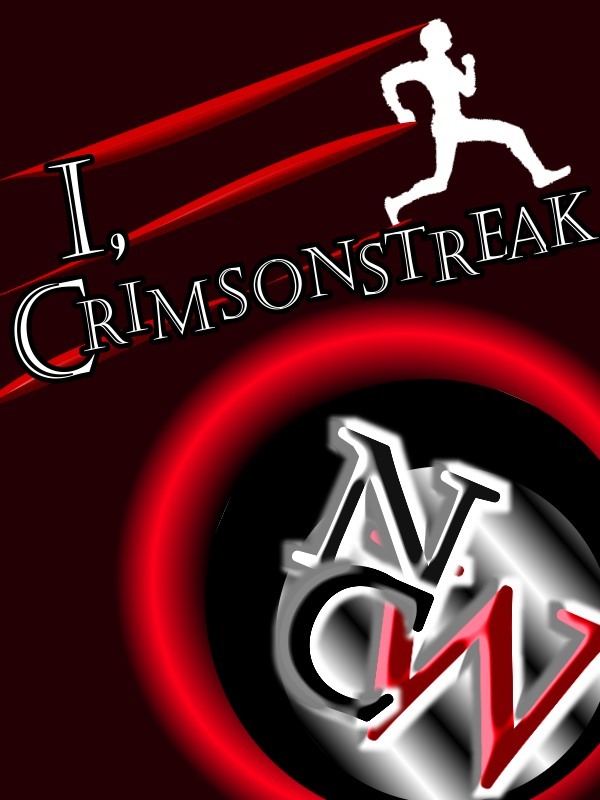 While I don't know where the rest of the week will take me, I'm committed to revising one of my earliest books, I, Crimsonstreak, a humorous, first-person take on the superhero genre. This one's been sitting around for a couple of years. Let's put this in perspective: when I finished I, Crimsonstreak, I'd written a total of 120,000 words between that book and my very first. Since then, my writing output has been been much more impressive, with two other finished books and more than 35 short stories. This isn't boasting; what I'm saying is that I've put a lot of words between I, Crimsonstreak and myself since originally "finishing" the novel (we all know, of course, that no creative endeavor is truly ever "finished"). When I was writing it, I had no idea what I was doing (in many ways, I still don't); I hadn't had anything published. While I'm not a big-time author by any stretch of the imagination, I now feel like I have a better grasp of writing in general. I can look back at this book, see its flaws, and grind them out. After that, I'm going to need some beta readers to take a look at it and then go back for more revisions. But I can't do that until I feel the book has improved dramatically from its last draft. The blog will probably remain relatively quiet this week (although that could ALWAYS change) because I'm working on revisions instead of coming up with something new. It's not that revisions aren't writing--writing is revising, point of fact--but it's not that exciting to do any kind of commentary on revisions...unless I find some extremely poorly-written sentence to share. But wait...I can use the Peytonometer for this! I, Crimsonstreak--now in the "Audibles" stage! The Peytonometer: Not just for short stories! My other project is a book review for someone who found this blog and thought I'd like to read his superhero novel. I'm about halfway through the book, which is about 600 pages. Either this week or next week, look for a review and an interview with the writer.